Zucchini plants are known for being prolific growers, and you can only make so much zucchini bread! My kids may love muffins and fried zucchini slices, but they start to ask for other things after a while. You can only give so many away! So, one day, I wonder if there were ways to can zucchini, and I stumbled upon three recipes I wanted to try. I love to can the produce in my garden. 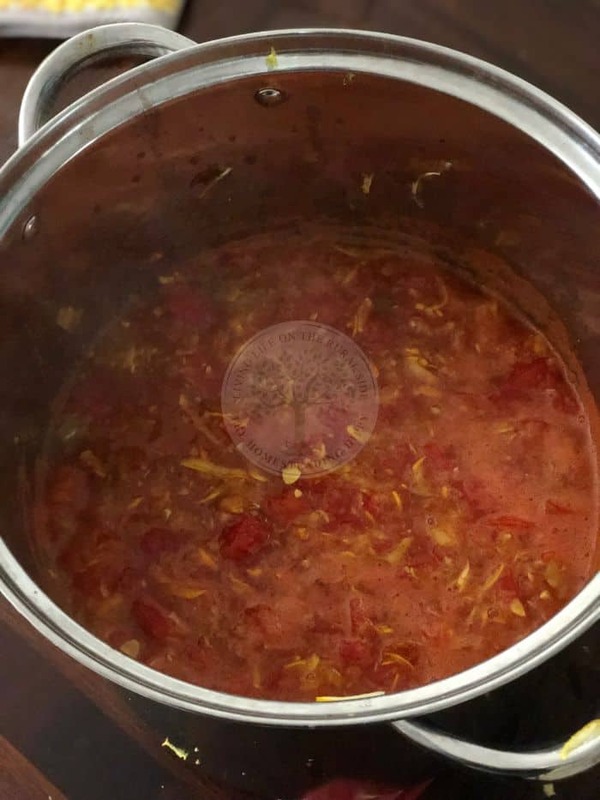 It creates a pantry full of shelf-stable, organic food for my family. For years, I only shredded zucchini and kept it in the freezer for occasional bread, muffin, and brownie recipes. 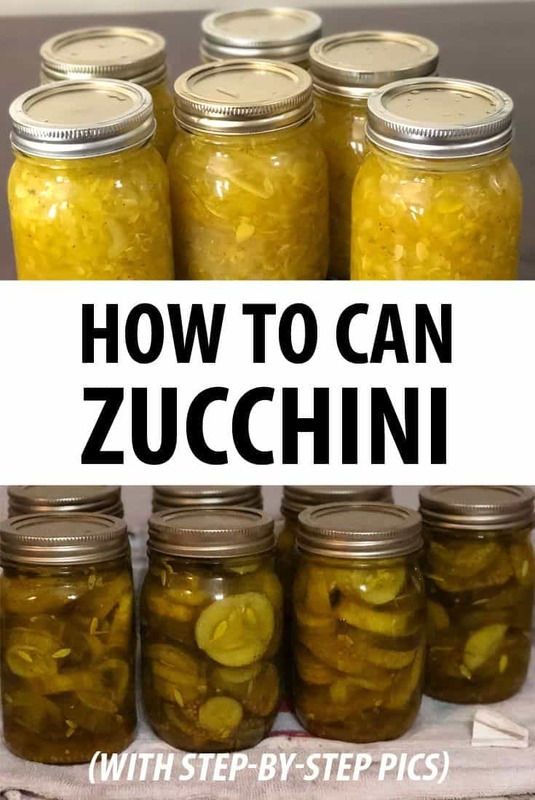 There are more ways to preserve zucchini that I never realized, and now I know I could’ve added more to my stockpile over the years! Is it Safe to Can Zucchini? One of the first questions I had was is it safe to can zucchini? It didn’t come to mind as an option. 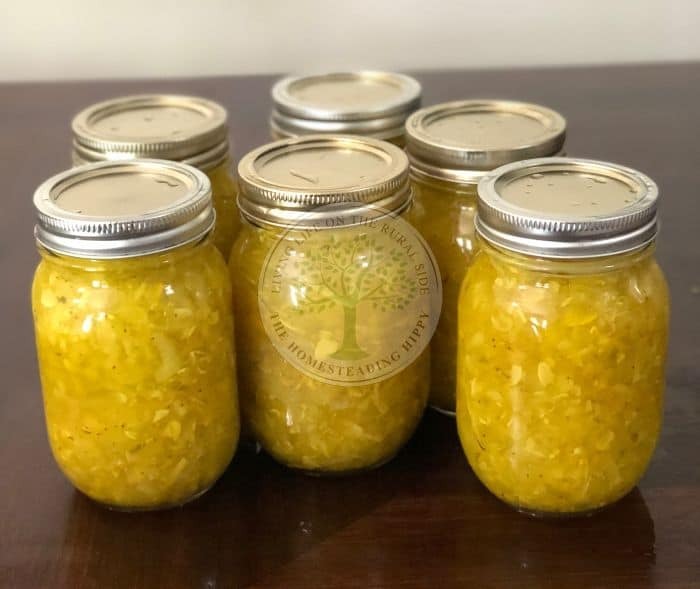 According to the National Center for Home Food Preservation, canning summer squash, including zucchini, isn’t recommended because of the uncertainty of food processing times. 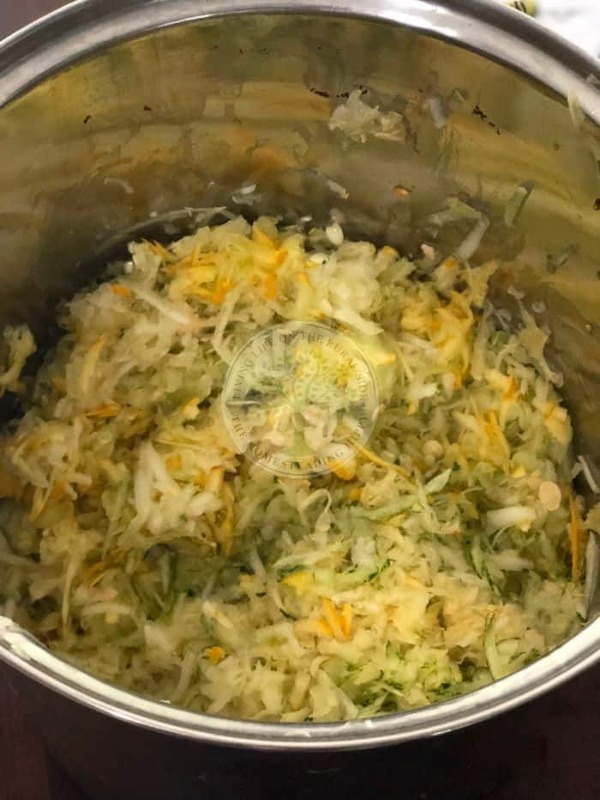 Squashes are a low-acid vegetable, and they would require pressure canning for a particular length of time to ensure any bacteria is killed off. However, there isn’t enough evidence yet to determine that appropriate length of time. 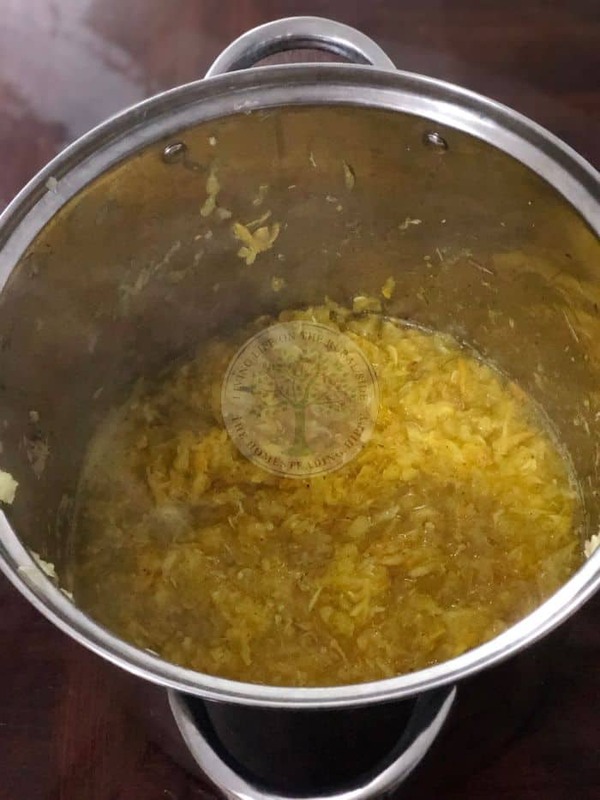 How, the NCHFP does offer one way to safely can zucchini, which is their zucchini pineapple recipe. It is actually quite delicious, and the reason it works is that of the high level of acid in the pineapple juice. So, I knew I couldn’t just can cubes of zucchini. 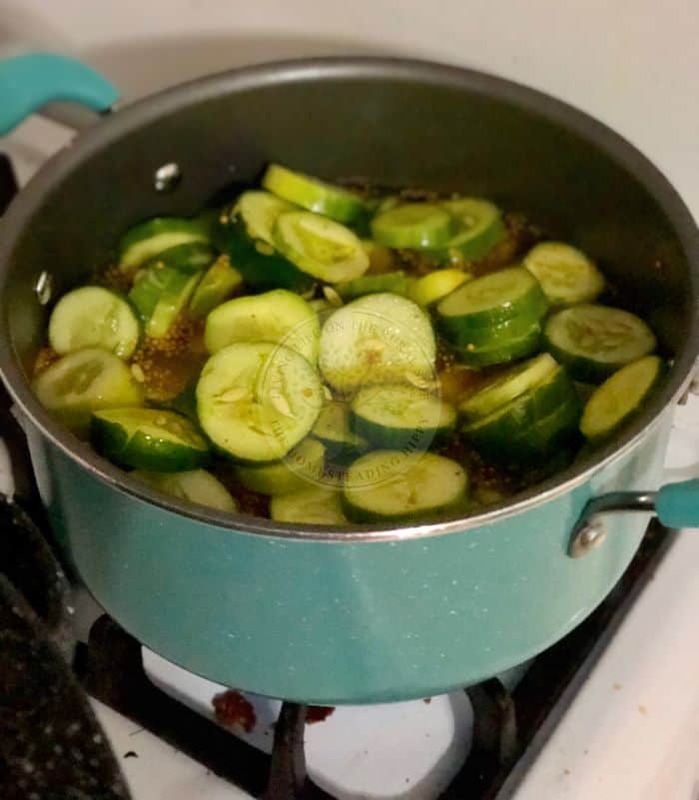 When you think about it, cubes of zucchini packed into water will get soggy fast and probably not too desirable. As I was researching the best ways to can zucchini, I stumbled across NCHFP recommended recipes for bread and butter zucchini pickles! When I add something to my stockpile, I want to make sure it plays a purpose. I sometimes add fun things – like mint or basil jelly – that don’t serve as much of a purpose, but my stockpile is also my pantry. It serves one overarching job – to feed my family. So, I want to make sure what I add has some nutritional benefits. You may not think of zucchini as a survival food because it is low in calories. An average zucchini has only 31 calories, and it contains no fat or cholesterol. That doesn’t make it ideal; you want fats and calories! 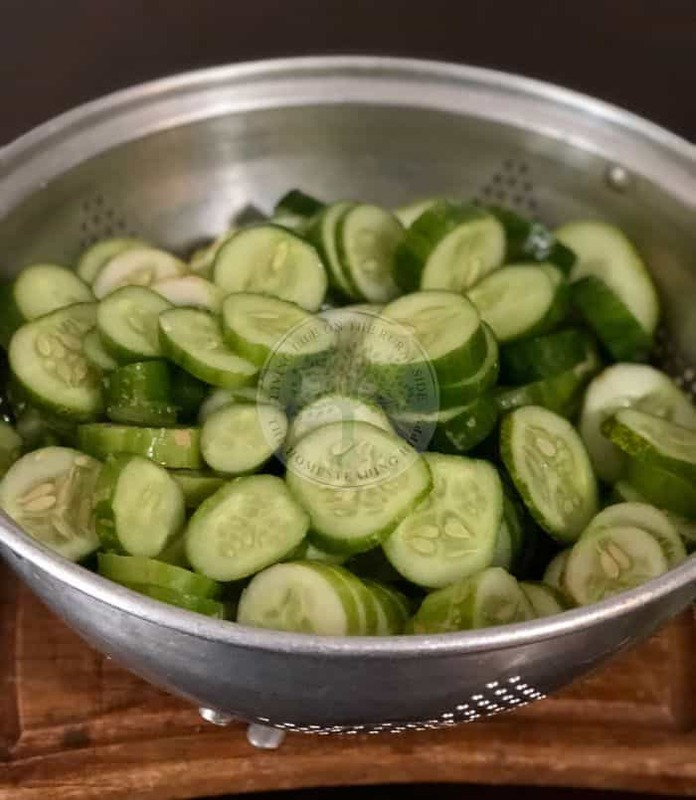 However, the strength of adding zucchini to your stockpile lays in the fact that a medium zucchini has over 50 percent of your recommended daily dose of vitamin C. You also receive 11% of your daily vitamin K intake. Vitamin C is one of the most important vitamins for your overall health. It forms and maintains your skin, bones, and blood vessels. It also helps to heal wounds and wards off scurvy, which is a result of vitamin C deficiency. Some research shows that vitamin C can kill tuberculosis, so adding more to your diet is never a bad idea, especially in a survival scenario! For each of these recipes, there are a few things you need to do. I won’t list them in each recipe. Instead, follow these for each of these recipes you want to try. Fill the water bath canner with water and bring to a boil. The water must be boiling in order for you to can. Starter your time when the water is at a rolling boil! Clean your jars. 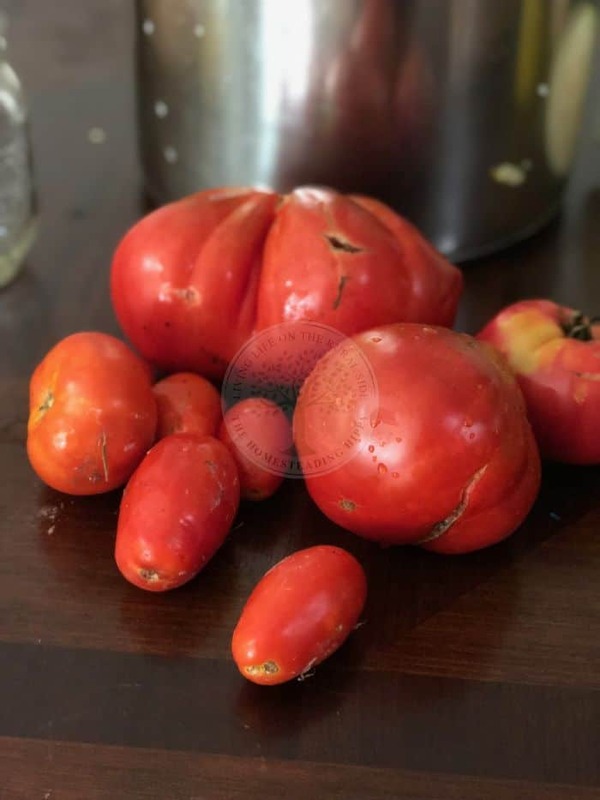 You want clean jars, and make sure to inspect them. It’s easy for jars to get small chips in them. Those jars can be used for dry storage of beans, but you don’t want to put a chipped or cracked jar in a canner. Heat up the lids and jars. After I clean my jars, I fill up the sink with hot water and store the jars in there until it’s time to can. You should also boil a small pot of water and place the lids in the water until its time to can. Set on a towel. Once you process the jars, you need to remove them from the canner. It’s best to place them on a tea towel on your counters. Don’t move them for 24 hours. At that time, it’s safe to remove the rims to check the seal and label for storage! These steps are easy but don’t forget them. If you plan to do two batches, make sure you don’t forget to heat up the lids and clean your jars! I LOVE bread and butter pickles; they are my favorite. Zucchini pickles taste very similar to pickles made with cucumbers. 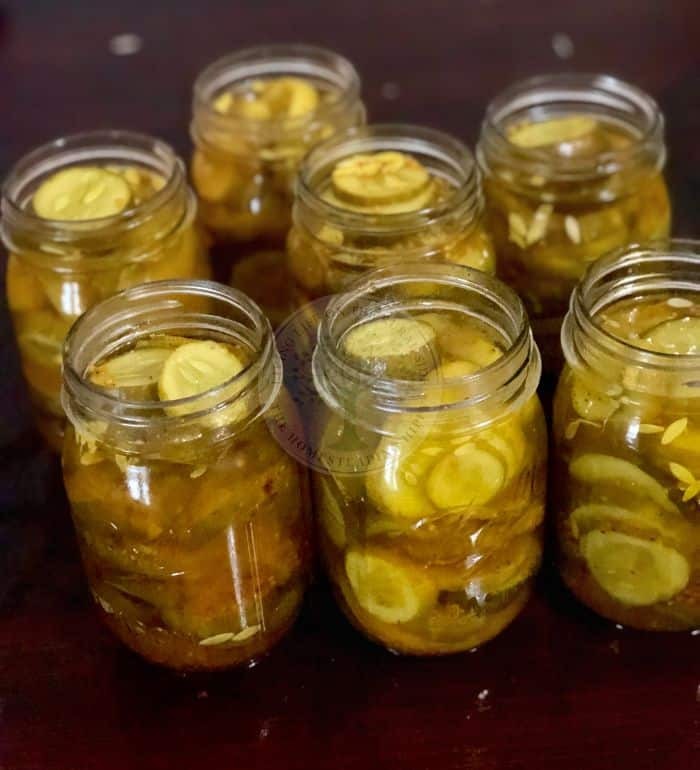 If you are a fan of pickles, you can’t go wrong with this recipe. It’s a crowd pleaser. You can expect to get around 6 to 7 full pints. Step 1: Slice up the zucchini in even pieces. Using a mandolin is the easiest way to get even pieces, but using a knife is fine as well. Slice up the onions, and place them in a large bowl. Pour the salt over top, cover with ice, and let stand for 3 hours. Rinse thoroughly after. Step 2: In a large stockpot, combine the vinegar, sugar, and spices. Heat up to a boil. The turmeric will turn the mixture a yellow color! Step 3: Once the mixture comes to a boil, add the zucchini and onion slices. Return to a boil, reduce heat, and allow to simmer for 15 minutes. Make sure to stir them! Step 4: Place the funnel on a cleaned, hot jar and pack in the hot zucchini, onions, and vinegar mixture. Leave 1/4 inch of headspace. Make sure you wipe off the rims, remove any air bubbles, and place on the lids and rims for each jar. Step 5: Process the jars for 10 minutes (pints) or 15 minutes (quarts). *You can use white vinegar if you don’t have apple cider vinegar available. I’ve used both types with success! Our family doesn’t eat a lot of relishes, but we like to have a few jars to add to sandwiches and burgers. Variety is the spice of life, right? 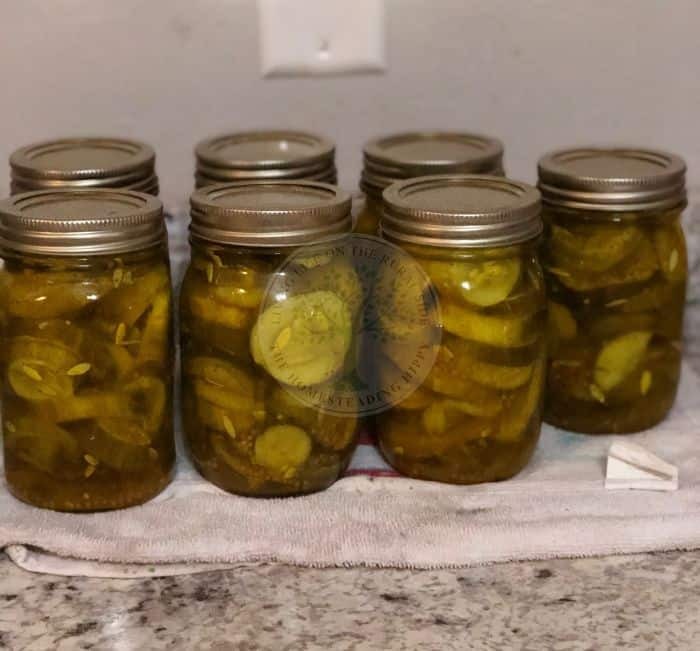 The ingredients are very similar to the pickle recipe above that I listed. The main difference is the texture and relish is a bit sweeter! Step 1: The first thing you have to do is shred the zucchini. 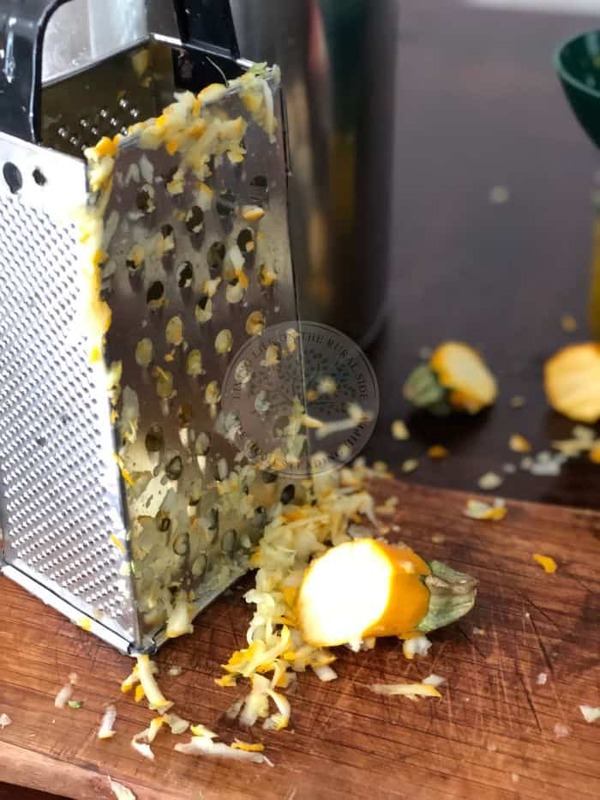 You can do that manually with a grater, as I do, or you could try a food processor. I’m sure a food processor would be easier, but I don’t have one at my disposal! Step 2: Now comes the easy part! Put all of the ingredients together in a large stockpot. Bring to a boil, turn down the heat, and let simmer for 30 to 45 minutes. The more it simmers, the more the flavors mingle together. 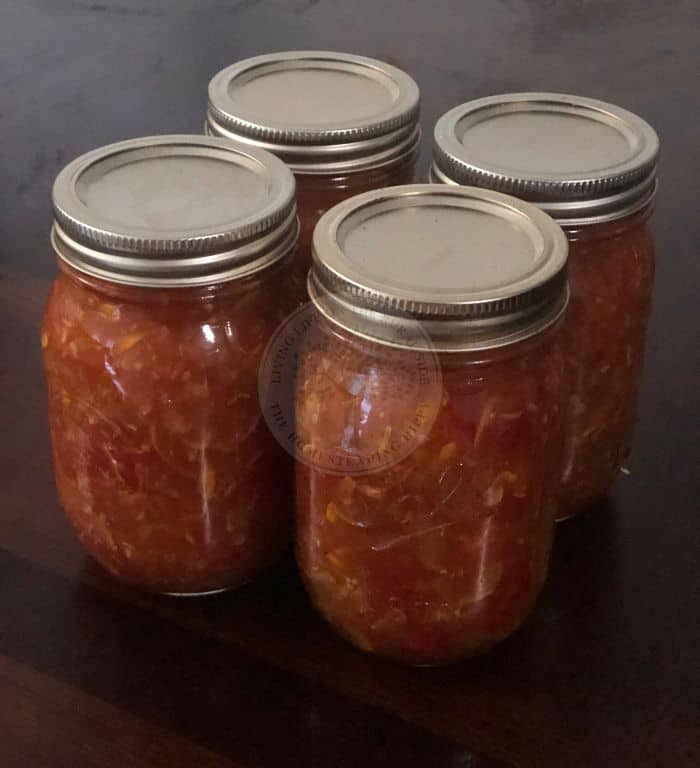 Step 3: Once cooked, ladle into pint jars, leaving ½ in. headspace. Make sure to clean off the rims of the jars before placing on the lids and rings. Process for 10 minutes (pints) or 15 minutes (quarts). If you love salsa, you have to add some zucchini salsa to your pantry! It is a family favorite with sweetness and heat all tied together. You can alter the hotness by adding or decreasing peppers. Sometimes, I add one or two cayenne peppers to jack up the heat for my husband who loves everything spicy. Step 1: Grate the zucchini, and dice up the onion, peppers, and tomatoes. Cover with the pickling salt and leave in the refrigerator overnight or for several hours. Doing so removes the moisture from the veggies. You CAN skip this step and allow the mixture to boil even longer. I have the best results when I follow this step, but if you decide to impulsively can, just add one some cooking time. Step 2: The next morning, drain and rinse the zucchini mixture well. Step 3: Place the zucchini mixture into a large stockpot and add the turmeric, cumin, garlic powder, black pepper, chili peppers, mustard seeds, brown sugar, vinegar, and tomatoes. Bring to a boil. Step 4: Once boiling, turn down the mixture and allow it to cook for 30 to 45 minutes, stirring often. Step 5: After cooking the salsa down, ladle into jars, leaving ½in. headspace. Remember to wipe the rims clean before you add the lids and rings. Step 6: Process the jars for 15 minutes (pints) or 20 minutes (quarts). Zucchini may seem like an unlikely addition to your stockpile, but it’s tasty! Zucchini can also be dehydrated and fermented, so don’t give it all away to neighbors and friends when you’re plants overflow. Use one of these ways to can zucchini or try a different preservation method.